My name is James Beissel. 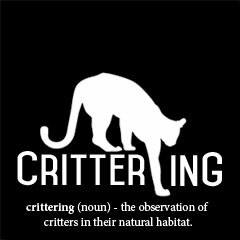 I combine wildlife, photography, and adventure into something that I just call “crittering”. Colorado is home to approximately 130 species of mammals. My quest is to find and photograph as many of them as possible, to share their stories, and to pay tribute to the incredible biodiversity of this state. Since 2012, I’ve been working my way through a list of 70 of these species and now have just 13 remaining. Upon completion, I plan to publish a book of the best photos and stories that I have gathered along the way. I launched this crazy project for a couple of reasons. After a decade of rock climbing and mountaineering, I reached a point where I was not having fun anymore. I wanted a new and challenging way to explore nature. I also knew that I also wanted to promote the conservation of our wild places. We often think of wildlife photography involving travel to far off and exotic places. While a safari in Africa or a visit to the Arctic Circle would be an amazing experience, I would merely be a tourist there. To capture unique images, I knew I must start in a place I can return to time and again, close to home. Living in Boulder, Colorado, I have a pretty amazing backyard, and you’d better believe that it has been photographed. But, there is more to Colorado wildlife than bighorn sheep and elk. With Mammals of Colorado in hand, I made a list of all of the species I hoped to photograph. Bats and small rodents, while fascinating, require different tactics to photograph, so I left them out. The goal of this project would be to observe and photograph each species in the wild, and on Colorado soil. Some of the species on the list, such as the grizzly bear and gray wolf, are now considered extirpated (locally extinct) in Colorado. Perhaps I won’t find them here, but it is important for me to tell their story. Other species, such as the Franklin’s ground squirrel, have never been documented in Colorado but have been recorded just across the border. Is it possible that a population is living within the state? And then there are some species that have only been recorded a handful of times, such as the northern flying squirrel and white-backed hog-nosed skunk. Will it be possible to locate them again in Colorado? Many questions remain, but I will continue putting in my blood and sweat searching for photos and stories of these animals. I hope you enjoy them and share my enthusiasm!